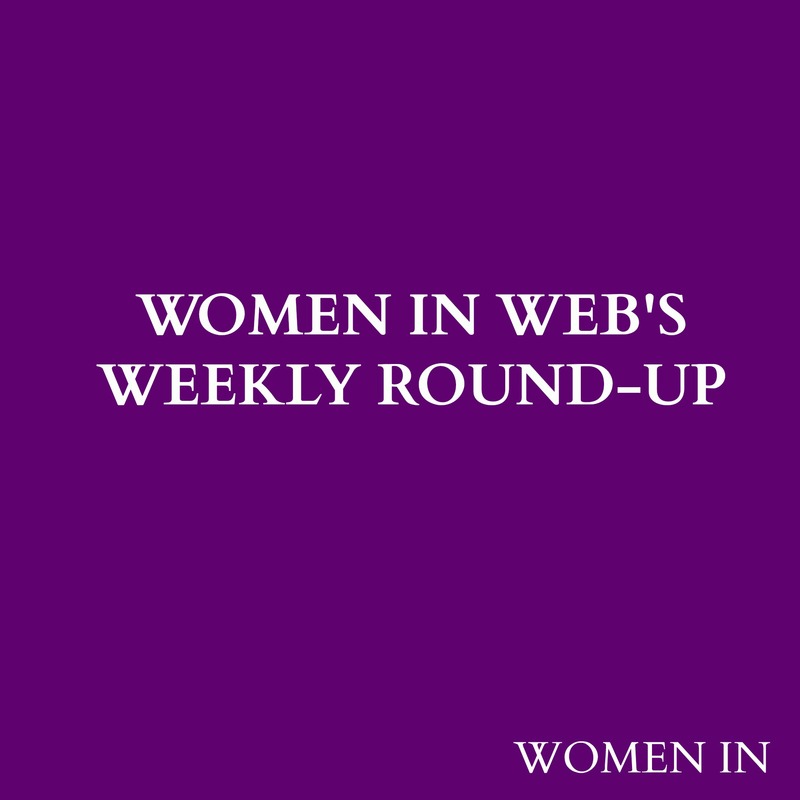 It’s been another action packed week at Women In Web! On Tuesday, we published our fascinating Q&A with Carladenise Edwards, Chieft Strategy Officer at Alameda Health System. Carladenise provided her insight into working in the healthcare industry, and how President Obama’s Affordable Care Act is impacting upon the sector. We also had a special guest post from Louise Czekaj, a social media professional in the financial services in South Wales about how she shared her passion with 200 people! She is, of course, talking about the fab Ignite events that take place in Cardiff- it’s the perfect place to conquer your fear of public speaking! Click here to read Louise’s inspiring and funny piece. We also spoke to Womenalia’s, Christina Chaplin. Christina is the USA Development Director, and one of WIW’s advocates. She left the USA to work in Spain and has never looked back! Check out her Q&A here. This week’s question from Ena is: “Have you ever predetermined the time you wanted to stay in a role or a job? In other words, have you planned an exit strategy?” Let us know your answer on Twitter or Facebook. The launch of Arianna Huffington’s life-changing book Thrive: The Third Metric to Redefining Success and Creating a Life of Well-Being, Wisdom and Wonder. It’s one book you don’t want to miss! Will Sheryl Sandberg run for President? If she does, she’ll need to ‘lean out’ of Facebook. Our co-founder Laura, spoke to Selina Tobaccowala, President and CTO of SurveyMonkey for a Women in Business Q&A. Take part in Chwarae Teg’s #mumentous Mother’s Day campaign by tweeting 5 words and the hastag #mumentous to share something great that your Mum has achieved! Christina Chaplin is a bilingual English-Spanish strategic marketing, communications and development professional with solid experience in product development and positioning, both online and off, in various companies and roles related to career growth and professional education. 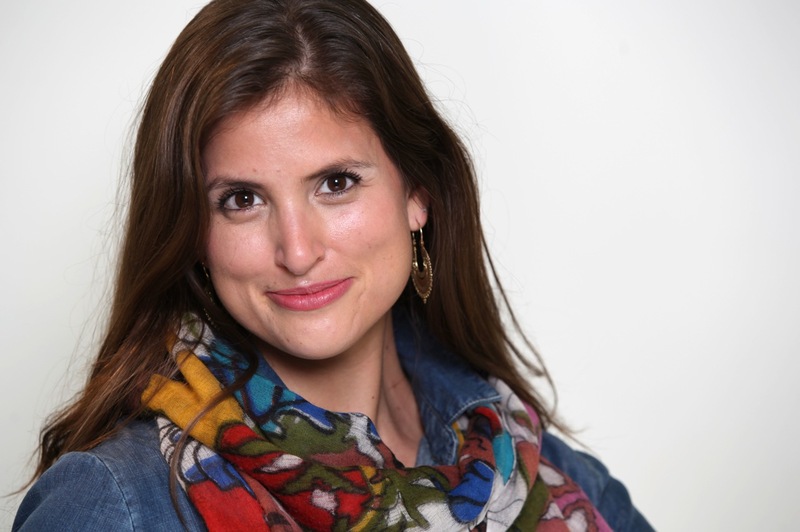 Born in Boston, she has a BA in International Studies and Spanish Language & Literature from Johns Hopkins University and a MS in Marketing from Universidad Rey Juan Carlos in Madrid, Spain. She’s been living in Spain since 2005. She is the USA Development Director for Womenalia, a network for professional women. My life is very much marked by a before and an after. Most of life had been a series of choices that, while rewarding and positive, were more about moving along a path set out for me, going through the motions and doing my best to live up to what was expected of me by my family, my environment and society at large. But in December 2004 I had finished my undergraduate coursework at Johns Hopkins, and I was off schedule with graduation still six months away. I was presented with a unique opportunity. I decided to break with expectations. I picked up and moved to Spain that January with almost no plan in mind and completely abandoning the path that I thought my life had been on up until then – hence the before and after in my story. It was an adventure. It was a fresh start. It was a chance to do and become whatever I wanted, and to spend more time exploring the path than heading in any given direction. It was an opportunity to allow myself to just live. And that’s more or less what I did for the next 5 years of my life. Explore, live, learn, be open to new possibilities, and most importantly, try to find my own footing in a world where it would have been so easy to just let one thing lead to the next. I think few people really question who they are, what they want in life and if what they’re doing today is actually helping them to get closer to that goal. Most people need a disrupting event in their life to start to question anything at all. It’s been nearly a decade since I left the US, and I can’t even imagine what my life would look like had I stayed, but I had a chance to shed the expectational baggage and start anew, and that means that today I am and do what I have chosen for me. I’ve been defined by two of my core values. On the one-hand I’ve always enjoyed learning, so as a leader I am driven by an insatiable curiosity and drive to grow. This means that I can be demanding at times (on myself as well as others), but it’s always with the aim of seeing my team grow and learn with me as we work towards a common goal. This also makes me very results driven. You have to be open to the many ways to achieve any desired outcome, so giving the freedom and flexibility to people to take their own journey is important as long as the goal is clear. The second most important part of leadership for me is a strong sense of self-responsibility, which in many ways goes hand-in-hand with the first part. It’s one thing for someone else to hold you responsible for something, but an entirely different skill to have a strong internal sense of ownership over one’s actions and decisions. With freedom comes responsibility, both for one’s mistakes as well as one’s successes. Mistakes are a necessary part of the learning process but you have to be willing to acknowledge them and learn from them for them to be beneficial in the long-run. I’ve had to learn to be very self-sufficient since moving to another country. You don’t realize how much of a support network your friends and family provide until you lose it and have to start nearly from scratch and have to relearn even the most simple of everyday tasks. Living immersed in other culture also gives you a new perspective on everything. You are constantly calling into question (or others are calling into question for you) assumptions about your values, ideas, goals… you end up going through a deep self-redefinition process that I think is invaluable. You have the opportunity to adopt and adapt those values and ideas from your adoptive culture that better adapt to your personal values, and maintain those you prefer from your country of origin. I have also had to make new friends and get to know new colleagues so often that it has really helped me hone my networking skills! What have the highlights and challenges been during your tenure at Womenalia? I’d say the most exciting part of being part of Womenalia is the opportunity I have to lead our current platform development project. Not only because it’s a strategic project for the company, but because it’s a project that brings me in contact with the entire team and all aspects of the company at one point or another, so it’s a chance to better understand the business and to help create an well-integrated future for the company. It’s a huge challenge to bring together all the need and ideas from all over the organization into one coherent platform, but it’s extremely rewarding to actually see it materialize and develop little by little. What are your hopes for Womenalia’s future? Womenalia is a platform with so much potential to unify a currently fragmented market. There are endless groups and organizations, big and small, for and not-for-profit around women, their careers and their place in society. I would love to see Womenalia be the place in which all the many faces of the professional woman can come together and create a powerful voice that leads to meaningful social and political change as well as being a dynamic and innovative technology platform that reaches the infinitely unique needs of each individual professional woman and helps her find her voice, whoever and wherever she is. Time management is key and for me that means formally scheduling in both work and fun into each day. As I mentioned earlier, I’m very results and deadline driven, so I’ve never been one to be held to nor to hold people to any particular schedule. With that being said, it means that coordination and scheduling are key! If my team or any other department needs me in the office at a given time, they just have to schedule it in and I can build the rest of my day around my top priorities. I always make sure to schedule in Me time every day. Whether it’s to go running, read a book, catch up with a friend or try a new recipe it’s important to have activities every day that you do not because someone else wants you to or you feel obligated to do them, but rather because you want to do them. While there is certainly data that shows that women are discriminated against in pay, promotions, and social perceptions, I believe that the biggest issue is really our own inner dialogue. I think that too many women censor themselves, don’t truly believe in their own abilities and potential, and often get distracted from their main purpose. I also think that society feeds into these behaviors (and has constructed them in many ways) and certainly doesn’t do much to help women break through these constructs. It’s so easy to get caught up in the million daily tasks and distractions and lose sight of what really matters to you, how best to achieve your top goals and actually go for them. What are your thoughts on Sheryl Sandberg’s Lean In book and movement? I think that Sandberg’s book hit quite a few nails right on the head. There were certainly whole sections that I read through thinking, “Yes, that’s so true!” For me the most important realization was that choosing your life partner is probably the one most important decision a women makes in her career. You and your partner’s values and ideas around gender roles, career expectations, and childcare responsibilities shape a women’s career more than most of the direct career decisions we make along the way. The question couples should ask each other before building a life together is no longer “Do you want to have kids and how many?” but rather “What expectations do we really have around family, career and money?” And as a woman you need to allow yourself to be honest about what you do or don’t want for your life. I have had very few formal mentors in my life, but there have been a couple of women that have been great sounding boards for me during my career. More than anything they have helped me discover where my potential lies and opened my eyes to opportunities that I would probably have never considered on my own. The most powerful mentoring experiences for me have been very practical and focused on specific skills and competencies. Mentorship is a powerful tool that women don’t take advantage of often enough though, myself included! Many women think it’s hard to find a mentor but it’s easier than you think. I have to admit that I’ve never been someone who turns to famous names or a particular person for inspiration. Each person’s strength and success comes from a very personal set of experiences and sources and cannot be replicated by anyone else. I draw inspiration better from my immediate surroundings and the small daily acts that catch my attention and make me stop and reflect.